The Chronicles of Narnia: The Silver Chair screenwriter David Magee has another project in the works. Deadline is reporting that Magee has written the script for an untitled musical fantasy about the author Hans Christian Andersen, with lyricist and composer Stephen Schwartz penning the music. Last October, we heard from The Silver Chair director Joe Johnston that they were still working on the script for the upcoming Narnia film. 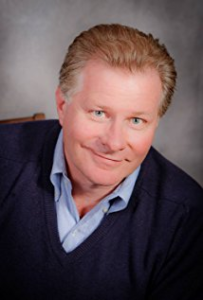 Check out NarniaWeb’s exclusive interview with The Silver Chair screenwriter David Magee on Talking Beasts: The Narnia Podcast. David Magee is quite the hot commodity these days. Bodes well for the Silver Chair’s script. He’s a real talent so I’m glad he’s being rewarded with these big projects! Is it a play or a film? If its a play I’m SO exited! Deadline says that the concept is "a musical Harry Potter, a potential movie franchise that can later translate to a Broadway musical like Frozen", so perhaps you will see it on stage at some point! 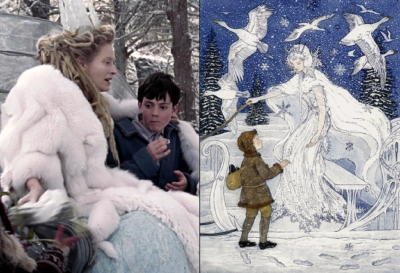 I suppose when ‘Mary Poppins Returns’ arrives this Christmas, we will have a taste as to what to expect from David Magee for ‘The Silver Chair’ and ‘The Snow Queen’.